We&apos;ve got a new tracksuit available! Made under the guidance and recommendations of several top professionals in mind, we&apos;ve developed a perfectly fitted, well-designed, eye-catching new unisex tracksuit. The top is slim fitted with a pocket ideally sized for your iPhone, iPod or similar device for music for you and your partner - meaning no more wires coming up through your trouser pockets and through your top. Regular fitted trousers have toggles to loosen and tighten the cuffs, helping you get them on and off quicker! 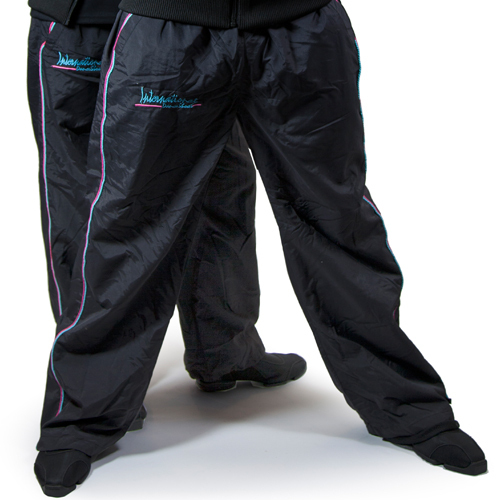 The tracksuits are available for Ladies & Gentlemen in Extra Small, Small, Medium and Large.